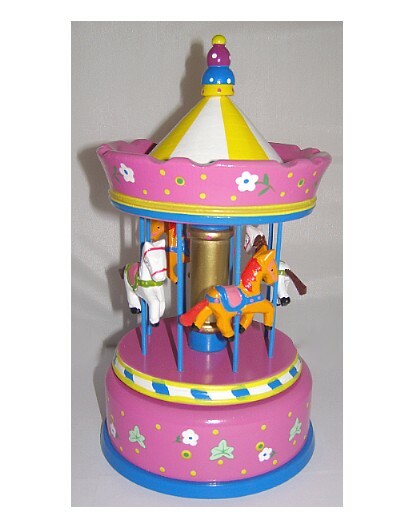 A beautifully hand painted wooden carousel with 4 miniature horses. The base is fitted with a clockwork musical movement. 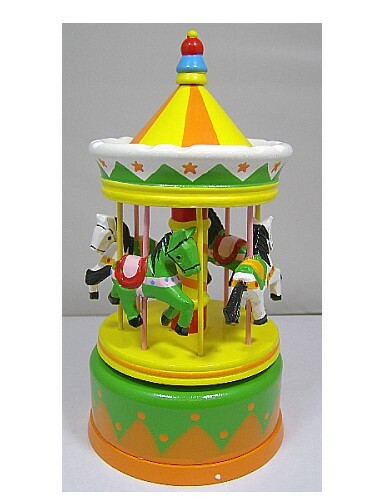 The top part of the carousel rotates on the base as the musical merry go round ornament plays "O Do Lieber Augustin". 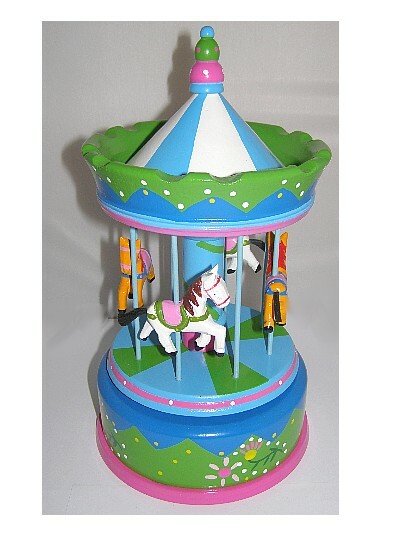 The musical carousel is made from wood and is hand painted in blue, green and pink with flower design around the base. Music Box Tune: "O Du Lieber Augustin"